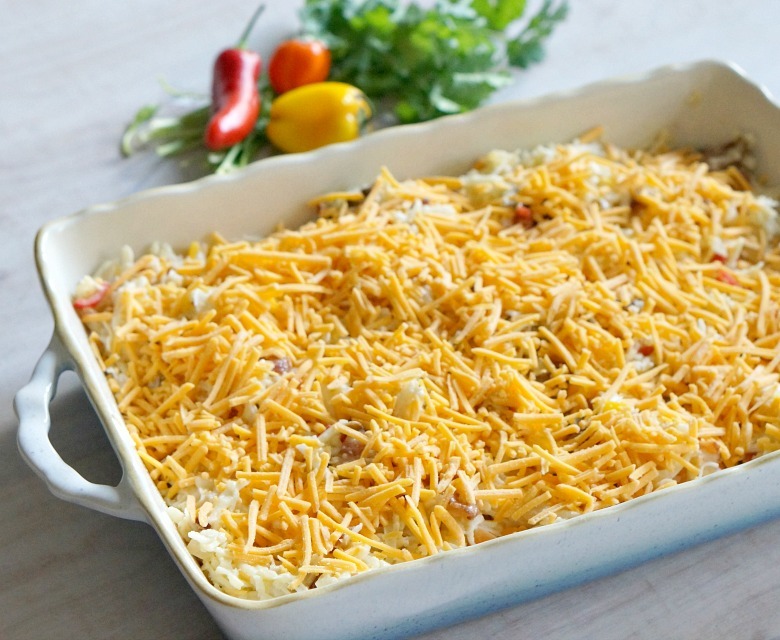 With the right tools for cleanup, casseroles are the perfect go-to dish for the busy holiday season. 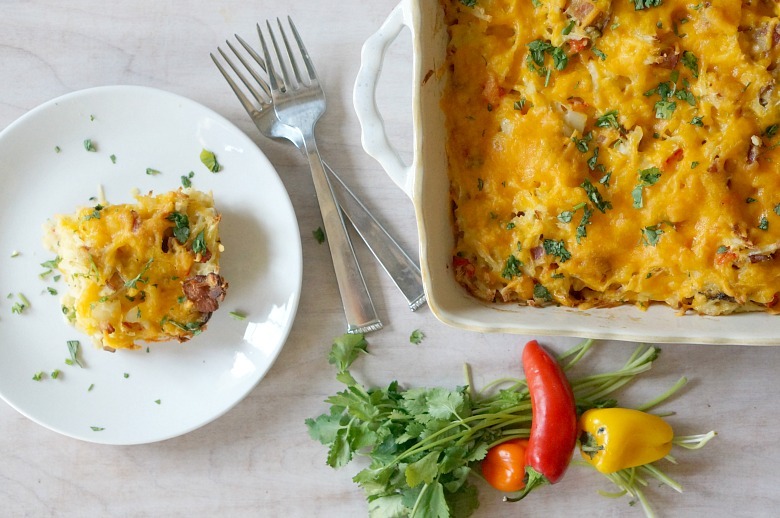 Treat your guests with this healthier southwest hashbrown casserole. 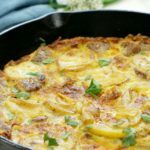 A great breakfast, brunch or side dish recipe. With cooler weather bearing down on us, I’m switching my kitchen tactics. The grill is getting a chance to hibernate, and I’m busting out my casserole dishes and hearty comfort food meals. 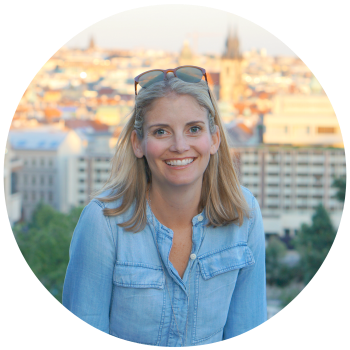 The only bummer? More clean-up. 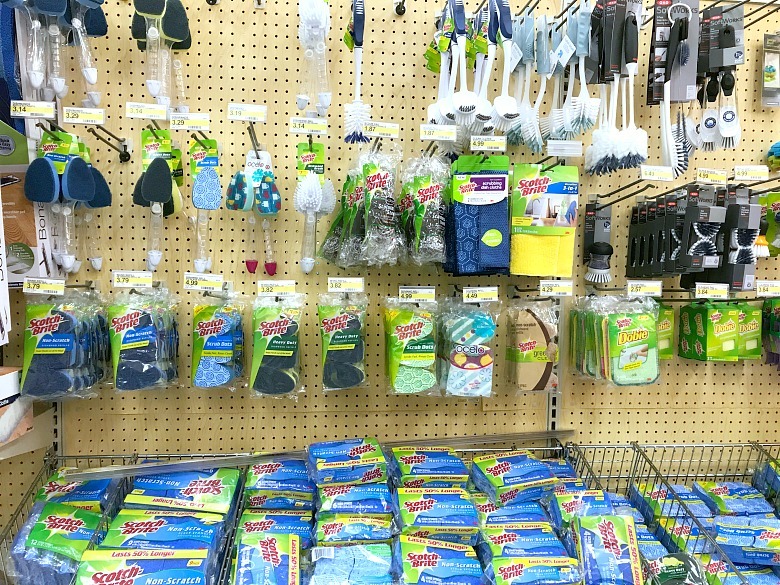 Fortunately, with Scotch-Brite™ Brand products, available at Target, it’s easy to find the right tool to make doing the dishes as easy as possible. 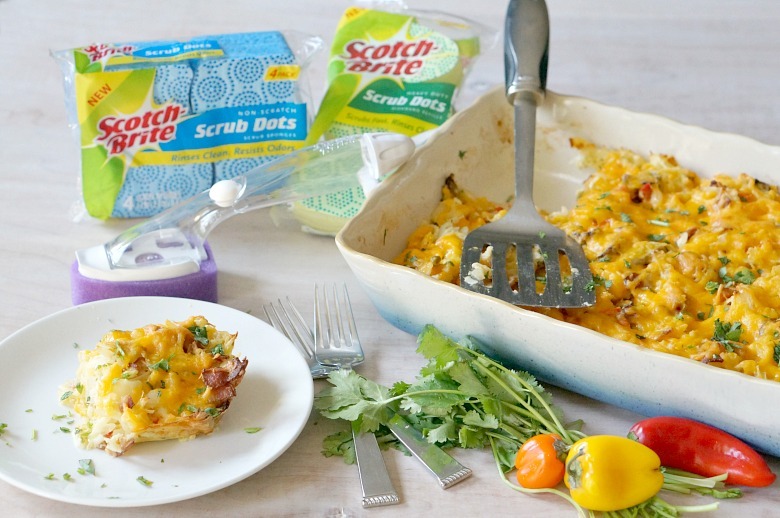 As someone who spends HOURS a day in the kitchen, trust me when I say Scotch-Brite Scrub Dots® are my new best friend. 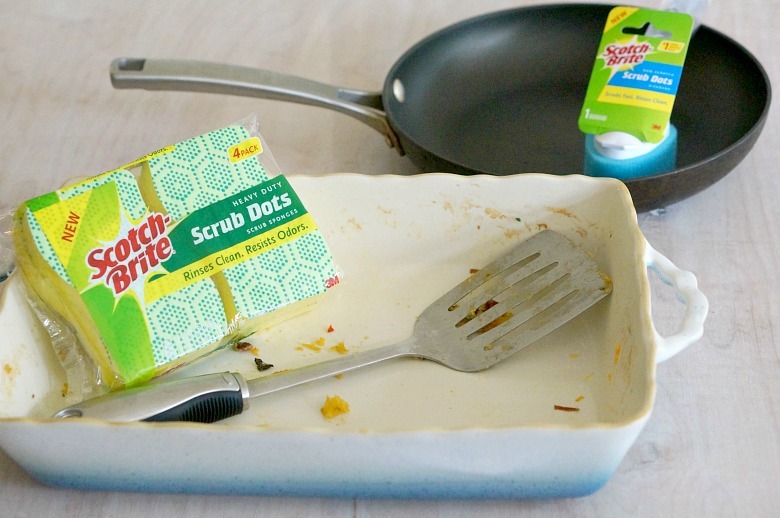 I use Scotch-Brite® Heavy Duty Scrub Dots Sponge to eliminate baked-on messes like on my heavy duty bakeware. For my non-stick skillets? 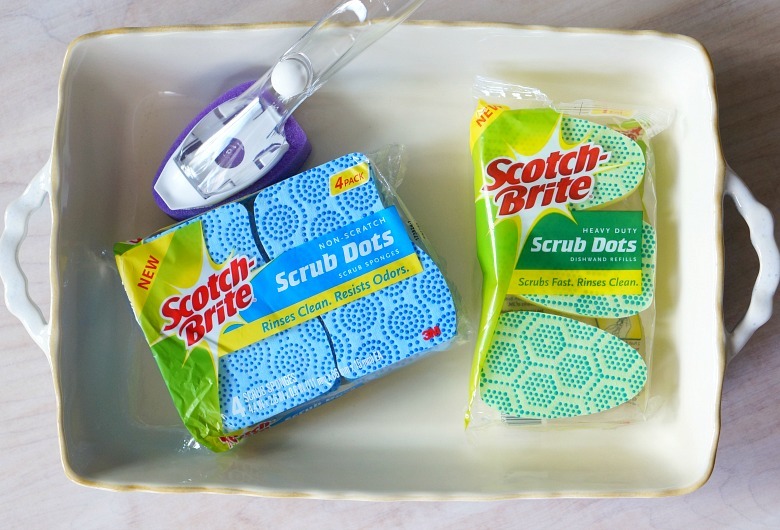 I use Scotch-Brite® Non-Scratch Scrub Dots Sponges, which clean without scratching. 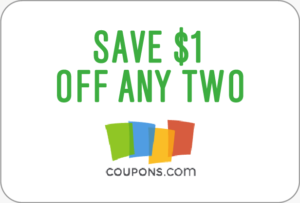 Be sure to grab this offer on your next Scotch-Brite® purchase at Target! 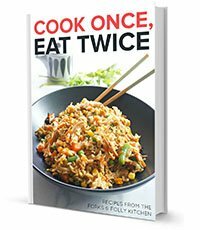 Now that we know we can tackle the clean-up, ready to get cooking? Preheat oven to 350 degrees Fahrenheit and coat a 9×13 baking dish with cooking spray. 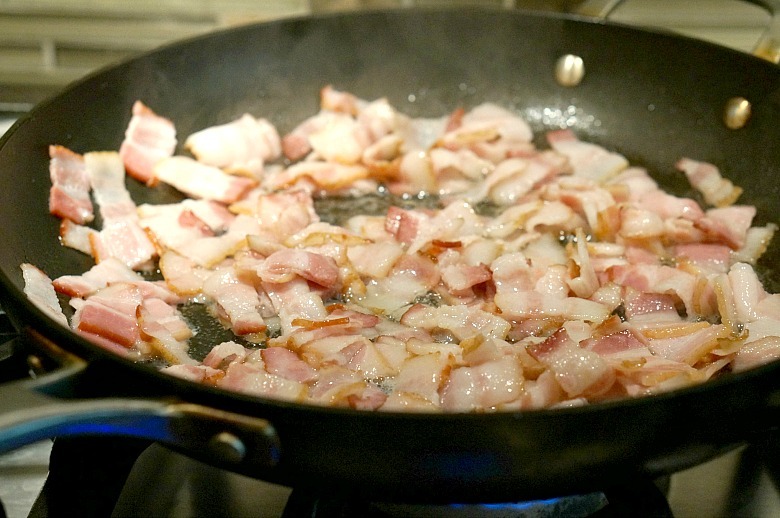 Cook bacon in a large skillet over medium-high heat until crispy and golden. Remove cooked bacon with a slotted spoon to a plate lined with paper towels. Remove all but 1 Tb. of drippings from the skillet and reserve for another use. Add the mushrooms, onions, and peppers to the skillet. Cook until softened and the liquid from the mushrooms have evaporated. Season with salt and pepper. To a large bowl, combine bacon and cooked veggies. Pour in the frozen hashbrowns. Whisk together the eggs, Greek yogurt, mustard, and 1 c. of the cheese in a medium bowl. Pour the mixture over the hashbrowns and veggies. Carefully mix together. Pour the hashbrown mixture into the baking dish. Sprinkle on the remaining cheese. 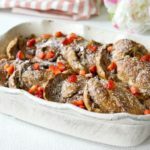 Place the dish in the middle of the oven and bake for 45-50 minutes, or until potatoes are bubbly and cheese has melted and is golden. 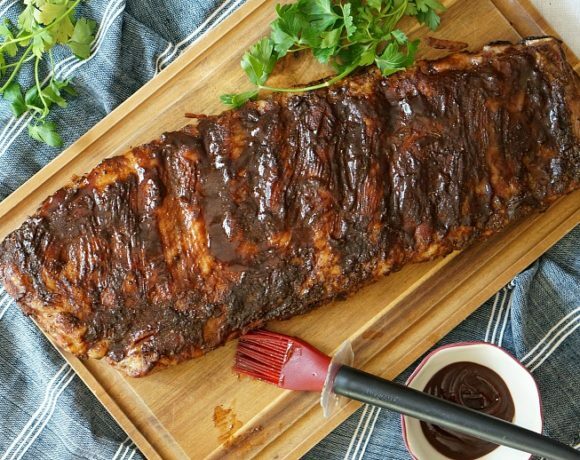 Allow to rest for 5 minutes before cutting and serving. 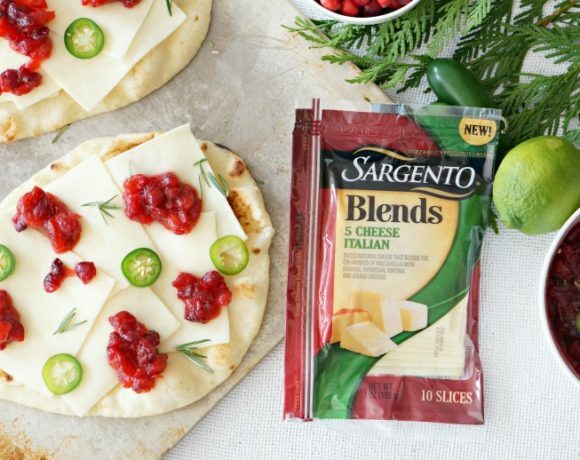 Garnish with chopped herbs and hot sauce, if desired. 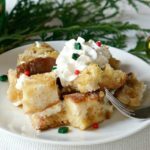 With the right tools for cleanup, casseroles are the perfect go-to dish for the busy holiday season. 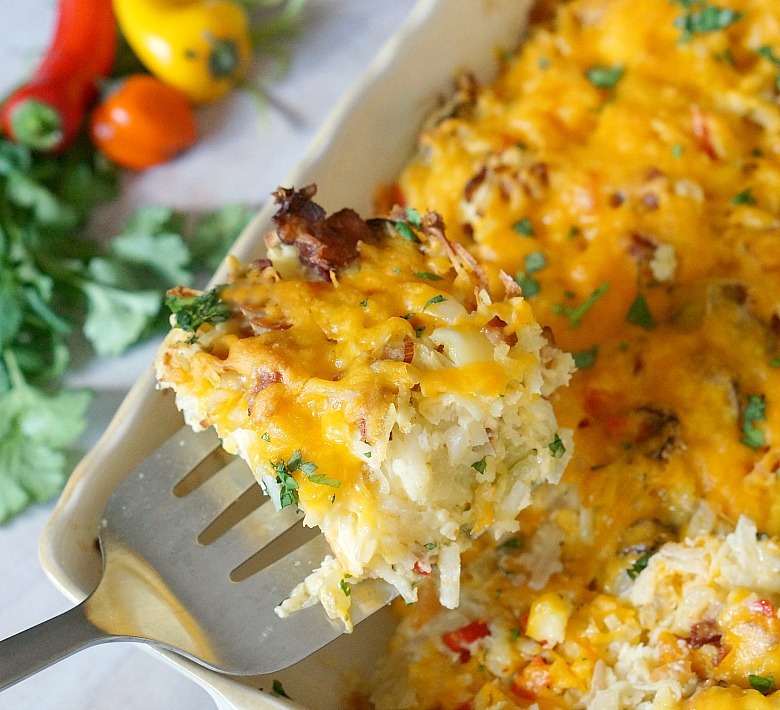 Treat your guests with this healthier southwest hashbrown casserole, a great breakfast, brunch or side dish recipe. Preheat oven to 350 degrees Fahrenheit and coat a 9x13 baking dish with cooking spray. To a large bowl, combine bacon and cooked veggies. Pour in the frozen hashbrowns. Whisk together the eggs, Greek yogurt, mustard, and 1 c. of the cheese in a medium bowl. Pour the mixture over the hashbrowns and veggies. Carefully mix together. Pour the hashbrown mixture into the baking dish. Sprinkle on the remaining cheese. 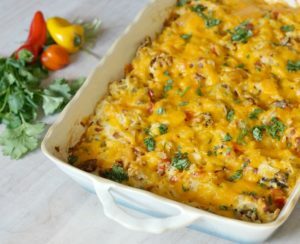 Place the dish in the middle of the oven and bake for 45-50 minutes, or until potatoes are bubbly and cheese has melted and is golden. 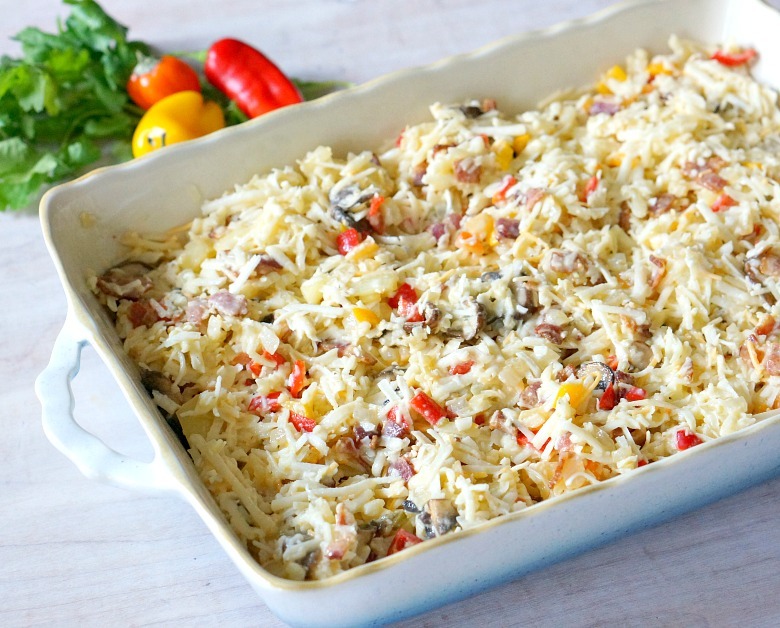 With this comfort food casserole, don’t expect leftovers. And, with right Scotch-Brite® products from Target, you won’t be stuck cleaning in the kitchen for long! 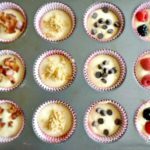 Be sure to check out this link for fab easy-to-cleanup recipes! And, if you’re looking for other breakfast and brunch recipe inspiration for the season, don’t miss our make-ahead pancake muffins or this veggie frittata recipe!